July 7 is my official rezday. That's the day I created Bastet thinking I would just do the thing I'm supposed to for a course in my university and then I wouldn't ever log in again. Yes, that's what I thought. The first appearance of Bastet was... Well not pretty. Someone in one of those help islands threw me a pack of stuff to make my avatar look a bit less like a n00b, though now I'm pretty sure it just got worse. A couple of days ago the Newbie Style Challenge started to create some fuzz on plurk. I wanted to give it a try and Artemis was born. 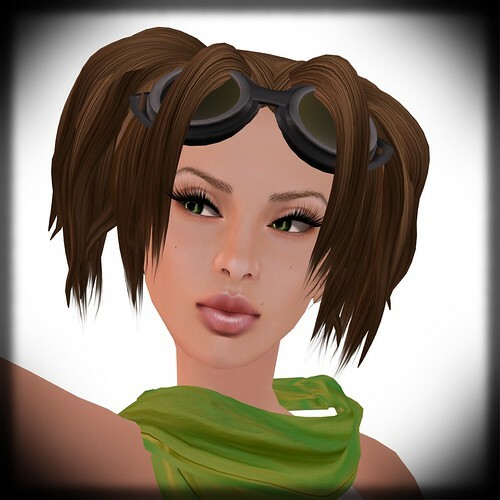 I knew there is some things available for new avatars only and therefore I created Artemis. 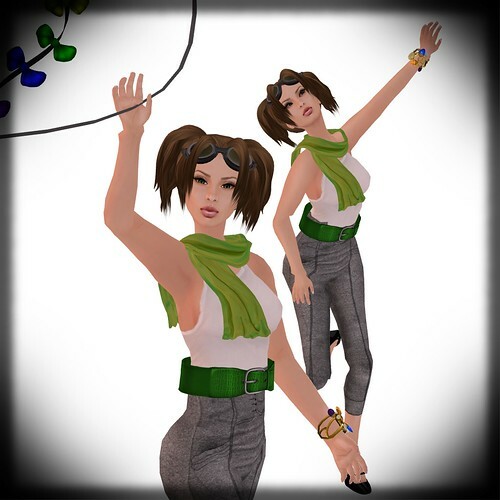 One of the places a new Second Life user (as well as an older one) should check is The Gnubie Store. There's lots of free or 1L items made by quality designers. And the Artemis Shape is now available in Kis Kis for anyone who wants it. Here comes Artemis. Isn't she cute? 2 comments for "Artemis is a n00b"
Oh my god, I /love/ your hair! I hadn't seen that before! Also, I love that you're even using free poses. This looks great! I hadn't seen the hair myself before, someone recommended me to check out the freebie pack at Kin. There's some other cute hair in the pack too, so I actually got it for myself (Bastet that is) too. I wanted to make it all free (or cheapie). Actually Artemis even has a free AO, E. Watkins - Free AO II (Female) from E. Watkins Premier Equestrian Supplies, I just forgot to mention that.